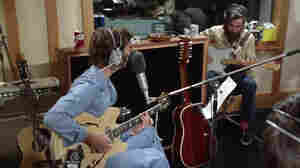 September 21, 2018  The never-before-seen clip, of the two former Beatles recording Lennon's "How Do You Sleep?" in 1971, comes ahead of the Oct. 5 release of a 6-CD box set, Imagine - The Ultimate Collection. 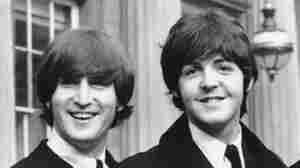 August 11, 2018  John Lennon and Paul McCartney have differing memories of who wrote the music for "In My Life." A mathematics professor has spent 10 years working with statistics to decide once and for all. July 6, 2017  On the anniversary of John Lennon and Paul McCartney's first meeting, revisit the church garden party that changed the course of popular music forever. June 15, 2017  At a music publishing event in New York, Ono was surprised by the announcement that she would be credited along with John Lennon. December 8, 2015  NPR Music's Bob Boilen remembers the moment when he heard about the death of John Lennon, 35 years ago today, and how the Beatle's music led — in a way — to his work at NPR. 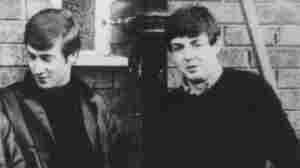 February 17, 2013  Rock writer Jonathan Cott met John Lennon in 1968 and formed a working relationship with him, as well as with Yoko Ono, that would span more than two decades. 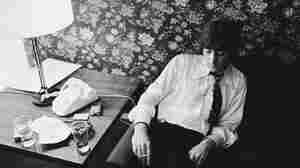 Cott was the last journalist to interview Lennon, just three days before the singer was killed. 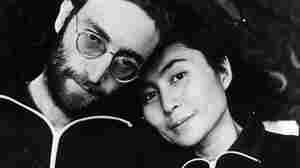 October 8, 2010  A trip around the web to look the commercial, loving, irreverent celebrations of Lennon's life. October 8, 2010  Saturday would have been John Lennon's 70th birthday. Fresh Air remembers the legendary musician by excerpting interviews conducted with those who knew him, including a 1985 discussion with his first wife, Cynthia Lennon. October 8, 2010  In August 1980, writer David Sheff flew to New York for the assignment of his life: an interview with John Lennon and Yoko Ono. 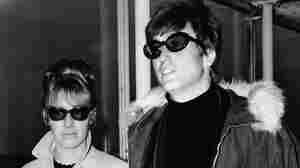 Over the course of three weeks, he witnessed the day-to-day life of the couple in their Manhattan apartment, months before Lennon was shot dead outside the building. Here, Sheff shares several audio recordings of his interview, most of which has never been broadcast. 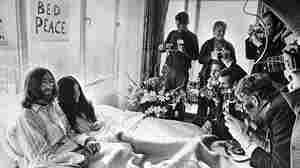 August 25, 2009  In 1969, John Lennon and Yoko Ono spent their honeymoon in bed, in an effort to promote a message of world peace. Now, the World March for Peace and Nonviolence has brought back the bed-in — starting on a Sunday afternoon in New York's Central Park — to raise awareness of nuclear proliferation. Can Rock Save the World? July 6, 2007  Kevin Wall, Josh Jackson and Alejandro Escovedo talk about music's role in bringing about change. They join Bob in examining the ways rock has helped solve problems on a global and personal level. June 1, 2007  The Beatles', Sgt. Pepper's Lonely Hearts Club Band was released June 1, 1967, in Britain, and on June 2 in the United States. The album became a phenomenon, and its sound was perfect for the then-new frequencies of FM. December 21, 2006  A new CD of Beatles music is out and it isn't simply a reissue of the same songs. It's a mashup of sorts. Bob Boilen talks with Giles Martin about these stunning new remixes. December 21, 2006  After a 25-year-long legal battle, the FBI has released the final documents relating to its surveillance of John Lennon in the 1970s. 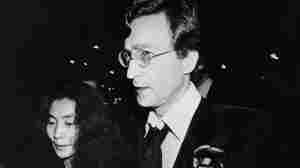 Historian Jon Wiener first requested the files in 1981 for a book on Lennon. He discusses the contents of the now-declassified files. September 21, 2006  All Songs Considered host Bob Boilen talks with NPR reviewers Robert Christgau, Meredith Ochs, Tom Moon and Will Hermes about the CDs they're most looking forward to this Fall.